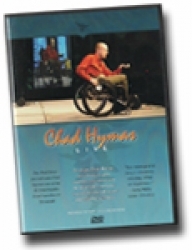 On stage, Chad Hymas will not only inspire, motivate, and move you, he will create a personal experience that will touch your heart for a lifetime. A live presentation given by Chad Hymas in Nashville, Tennessee at the Opryland Hotel. A three-camera shoot in front of 5,000 people. A moving presentation fit for all. Get Connected!